Today I am thrilled and privileged to introduce Robin Renée and to offer this guest post by her. I’ve known Robin since college and although we have not often been close in space or time, she is one of those people who I have always connected to as a kindred soul. My experience of Robin is that she is keenly sensitive to the voice of Spirit within her, using her life and her talents to honor the deepest part of herself and others. To me, Robin is one of the most individualistic and varied people I know (at least varied in ways that are different than me). She follows her truth, and it is like no other. She is one of the most beautiful people I know on every level, so I also think it’s fitting that she is the first post after Journey of Beauty! I hope you enjoy this glimpse of her inner-workings; perhaps you will be inspired to reach further into your own depths. A little over ten years ago, I was enveloped by the sounds of tabla, guitar, bass, flute, and voices all coming together in a sacred sonic union that became a recording called Live Devotion. It is a time of my life that isn’t so easy to make a clear connection with when looking back. The months leading to that recording and for a year or so after, I was swept up into a kind of ecstatic state from which clear memories of distinct events and particulars of the day-to-day don’t make themselves known. From outside the bubble, I remember it as a profoundly moving time of experiencing deep connection with All. I know that gathering with the friends who helped make Live Devotion a reality took some effort, but once we were assembled, the energy flowed. Expanded, Universal Love, my experience of music, and my career in music all came together. I retain a fairly clear understanding, yet fuzzy perception, of what it was to be in that time. 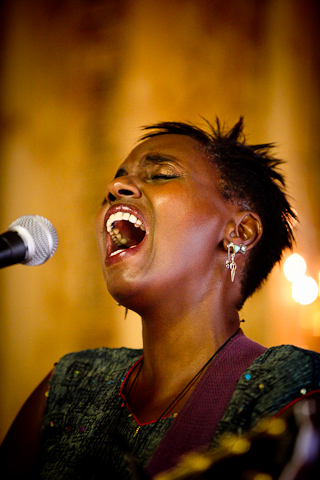 The recording, an expression of and documentation of kirtan bliss, was inevitable. I don’t believe I would have been able to create anything else until I allowed those chants to come into fruition. I grew immeasurably during the time leading up to Live Devotion and for some time after. But a strange thing happened after several years of immersing in singing and chanting the Divine Name. As powerful a practice as it is and as beautiful an experience it can be to be awash in such energy, something felt absent. For a while I stayed with my focus on leading public kirtans and chanting often at home. Finally, just as I couldn’t ignore the impetus to sing and record kirtan when it first showed up for me, I then couldn’t deny that it was time to give it a rest. In some future or imagined ideal, that may be so. Eventually, what I discovered was that kirtan had become a mask. It was a costume I put on again and again, an easy genre – a crutch. There were songs inside me that needed to come out. There were songs of deep grief, of love, and desire. There were songs of the “stuff” of life. “Stuff” may be seen in some traditions as something to be released in favor of enlightenment, but hiding from emotions and physical experience and the stories asking to be told led me to a place that was less than authentic. Putting on the mask of kirtan at one point deepened my spirituality, and taking it back off again would be the way to continue growing. While swept up in the midst of a crowd having a musical experience together, I sometimes have realizations. Sitting on the floor among hundreds chanting “Sita Ram,” the simple mantra suddenly opens for me in a new way, some piece of its essence beyond language revealed. Out dancing one Saturday night, covered in sweat and glitter, I wake up suddenly into the personal sacred – I know how essential and healing the experience is for me and how perfect in that exact moment. 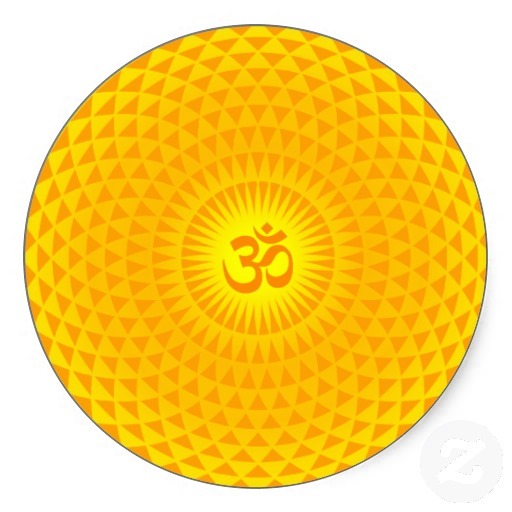 I realize how New Order, Lady Gaga, or Bruno Mars are no less holy than Krishna Das or Wah! when the occasion calls for those beats. One time at a Devo show, Mark Mothersbaugh started the classic “Jocko Homo” call and response: “Are We Not Men?” The crowd shouted back “We Are Devo!” It went on and on, building energy between the intensity of the performance and the enthusiasm of the audience in fandom camaraderie. 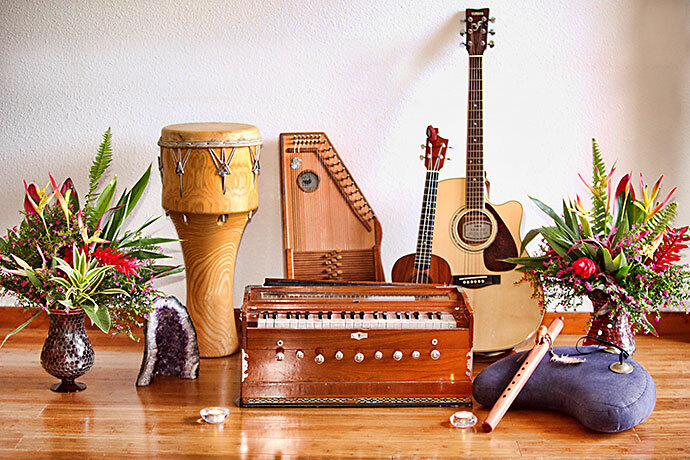 In a flash, I realize that I’ve been doing kirtan of a sort – through my favorite oddball band – for many, many years before I first sat down with a harmonium and a purposeful practice. I remember a recurring college debate with a friend about various music scenes. He was convinced that the New Wave club kids were posers because, in his opinion, they were all about fashion and simply being seen. I would argue back that the punk kids and activists had just as much of a uniform, only grungier and with the added pretense of not caring. I traveled between those scenes, met good people, and at times heard words and music that felt like lifelines. I have learned that the trick is to remember that the mask is power, but it is not permanent. One state does not negate the other. The trick is to remember that the role of music, and more broadly, sound, has been undeniable in my life and growth on all levels. I will wear each music mask as it shows up, intent on knowing the mask as a tool of expression rather than of obscuration.